Skin gifts from Deluxe Body Factory – grab yours! November was a little bit too busy and we didn’t have time to create a group skin gift. To compensate, we decided to create two skin gifts for December instead! Check them out below (click each photo for a full resolution view at Flickr). Saga and Shanice skins comes with one skin tone each and the option to buy the shape and some selected appliers separately (Maitreya, SLINK Physique, hands and feet, Lola Tango). There is also an option to get the modifiable shape used for the photo to a discounted price. Both matches the body of Poppy skin line (sand and chai) and a huge range of appliers plus the full skin line can be found on the Second Life marketplace as well as inworld Second Life. Isak and Kojo skin packs includes a modifiable shape and a male skin in one skin tone. 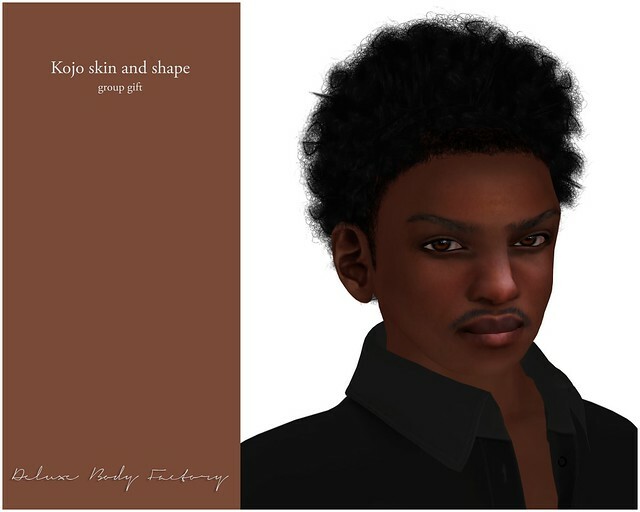 Kojo matches the body of Jayden skin line and has the option of separate SLINK hands and feet appliers. 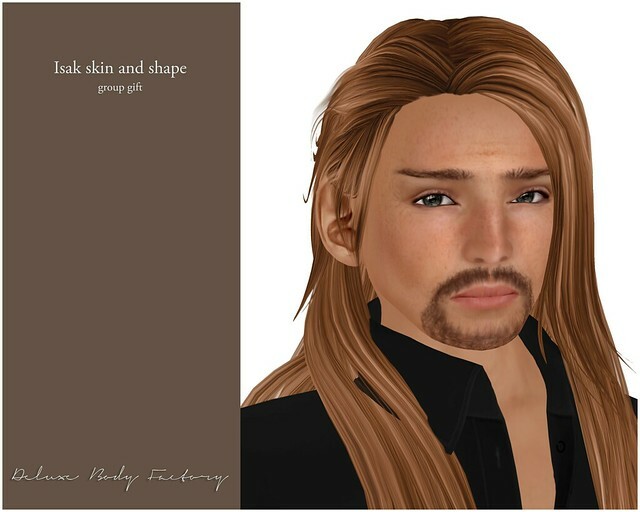 Check out Jayden skin line at the Second Life marketplace. Teleport to Deluxe Body Factory skins and shapes in Second Life and grab December skin gift now! http://maps.secondlife.com/secondlife/Hidden%20Village/162/83/1142 Don’t worry if you missed out on the previous month gifts, they are still available in the gift boxes below the vendors.